We are very excited to get our new topic 'Escape from the Jungle' underway. 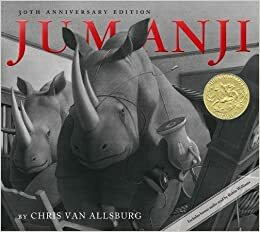 In our learning this term, we will be reading 'Jumanji' by Chris Van Allsburg. To begin our exciting topic, the children will be sharing, playing and reviewing their own board games with each other, and comparing it to the Jumanji board game. The children have also been designated the job title of 'designers', where they will be challenged to work collaboratively to design the Jumanji World that Alan has been pulled into. Please check back to our year page to find photographs of their final designs. On our website page, we will regularly update you with what we have been getting up to in class (and out!). This will include examples of your children's work and photographs of their learning. We will upload a copy of our termly newsleter as a blog attachment. Please scroll down to the bottom of the page to find our newsletter for the Autumn term. In the newsletter, it will provide you with an insight into what we will be learning about across the curriculum. A note for the diary this term - Come to school with your parent morning. We ask that you ensure that your children have their P.E kits in school every day. In year 4, Forest School will take place on a Friday afternoon. We will notify each class when their Forest School sessions begin. You will be able to find a copy of the uniform policy on our website under 'Parents Information/School Uniform'. In year 4, your children/child will be set homework on Mathletics and Spellodrome on a Friday. They will have a week to complete these tasks. Mrs Baines runs a homework club in the Computing suite after school on a Tuesday. The children are expected to read every day at home. Please do not hesitate to contact us at any point if you have any concerns or questions. You can find us at the end of the day on the playground or you can make an appointment with the school office. We look forward to meeting you during our come to school with your parent event/first parents evening later on this term.